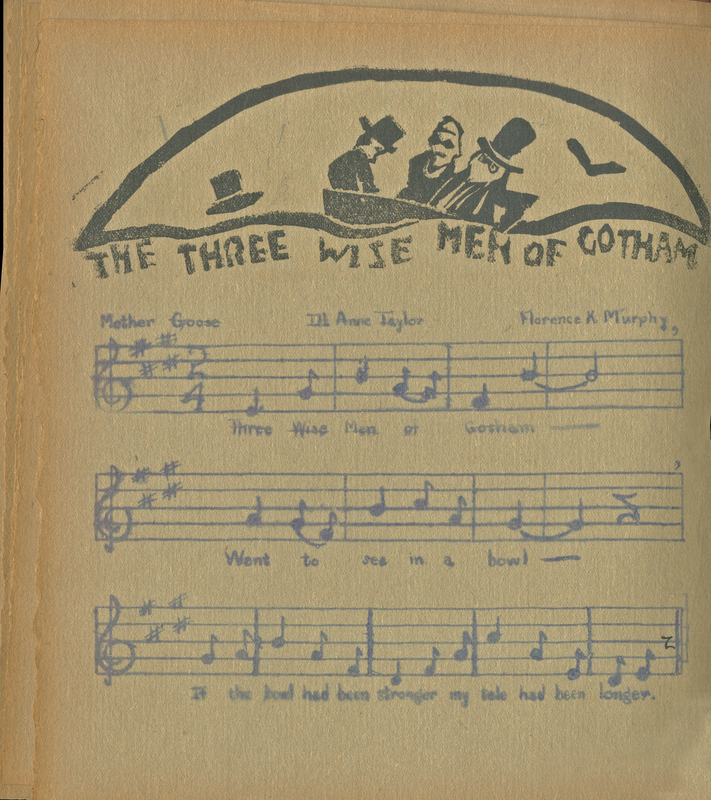 Page 15; A single page from the music book 'Our Own Melodies' and an audio recording of the melody. Murphy, Florence K; and Anne--Illustrator Taylor. 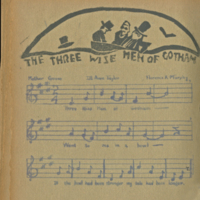 “The Three Wise Men of Gotham.” Our Own Melodies. WCSU Archives, 11 June 2018. Accessed on the Web: 23 Apr. 2019.